Perhaps it was work stress, and all the things left undone because of it, that prompted pondering on simplicity. Maybe it was the messy piles of clutter, and the things I’ve been too lazy to put away. Maybe it was the garage that has never housed a vehicle and has lately become an obstacle course. Of course, it was probably all of these that made me realize I was drowning in too much stuff. So I imagined ways to somehow reduce the size and complexity of my home and pile of possessions. Less things to store, maintain, and be concerned about seemed extremely attractive. I even thought about how I might reduce the number of bicycles that demand my attention for cleaning, maintaining, and accessorizing. I imagined that less complexity might be just the thing to give more time to ride and enhance the cycling experience. I’d have less concern about where to store bikes, how to keep them all clean and operational, and making sure that I have the appropriate tools, water bottles, rackage, and baggage when I switch from one to the next. I even wondered if it would be possible to reduce the number of bicycles down to a single… one. I was making great progress. I was getting used to the idea, and trying to decide which two-wheeled time robber would be the first to go. So believe me when I say that I have no idea how this happened. Maybe this is THE ONE. Or maybe there are some things I just can’t explain. As the Spanish say, "Sea lo que sea". It happens . You're drawn in. Good luck with your difficulty.And with your QB. They ride beautifully. I have one bike which works great for every kind of ride I ever take (the ti FunK0. It is the coolest, and probably most valuable bike I own as well.Yet, it is one I rarely ride.I know that I don't need all of my bikes (or guitars, or amps…), but I sure do enjoy them all! "So believe me when I say that I have no idea how this happened. "Oh I believe ya man…..I believe…I'm with you on this one…How the heck does this kind of thing happen? I know what you're going through and I support you! It happens to the best of us. A good idea I learned for getting rid of stuff… Step 1. Put it in box, labeled with what is in it. (not recommended for bikes. continue to observe s-1 rule for bikes)Attach contents list to box in an envelope. Step 2. Put box away.Step 3. Wait 1 year.Step 4. Any items you haven't removed for use in the past year, donate.Important: Do not under any circumstances open box at this point or all will be lost. In order to simply ride a bicycle, one only needs one bicycle. On the other hand, I suspect that many people who possess that much touted "all-rounder" have at least one other bike in their possession. Ditto, Doug. It is a large boat in which many of us, together, are setting. I've been going through this same thing also. So much that I'm down to two. I sold my Karate Monkey (which I thought would never ever happen) and it's down to the LHT and the fixie. These are good thoughts my friend. Let them move you as you see fit. Can't wait to see how this progresses… or regresses! 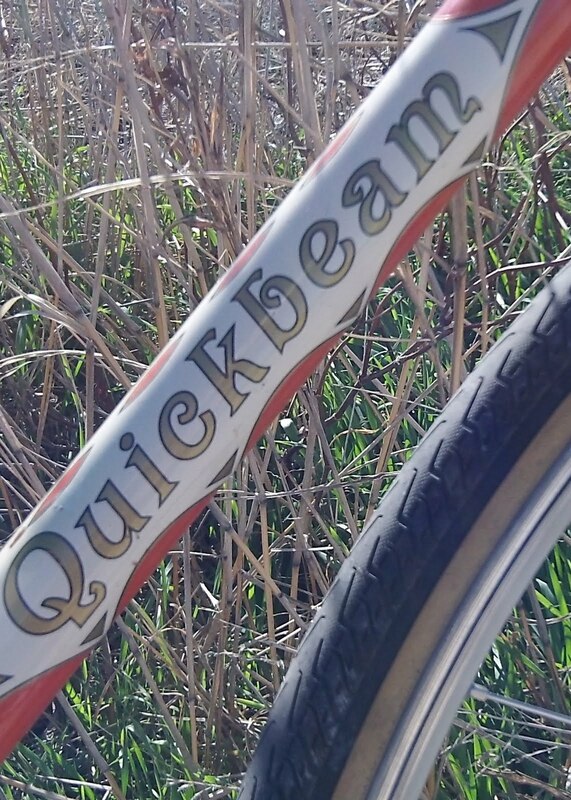 I have other bikes, but I'm on my Quickbeam 95% of the time. A worthy candidate for that One Bike.